then i lost the connection with fountain pen for many many years. I started to write with different fountain pens at least for 4 hours a day. say that they dont have time for things like this. but their time was much more precious. Then I went to a factory, where they make fountain pens for other brands. that the mould for FP is +xxxxeuros and the MOQ is at least 20.000 pieces. will never gonna happen. But I did'nt sleep. I write to mr. Bock, who send me test nibs and ink feed sistems with housing. I will use only his nibs, and triple sistems. who make me 3D file from my scatches. And then I ordered my first 3D pen. It came in very bad condition. After approx. 14 updates, I finnaly recive a working prototipe. I was so proud, that I say to myself, that I will make a fountain pen brand. but my love or addiction to fountain pen is much stronger than that. So i decited, to give my project on Kickstarter, witch ends on 28th of febraury. for my Storyteller fountain pens in message. have extra reason, to make it evan better. In case, that KS project will be not successful, that will not stop me. In any way, I will make my own brand of fountain pens. I know, that I just did a small step, but I did it. And that is what matters to me. but if I have had another chance I would do it all the same. That is small country sLOVEnija. By the way a very interesting project, hope everything goes well mate. Hello Martin and welcome to FPN, from Cape Town, South Africa. Welcome to FPN! Have a great stay! Hello, Martin. I'm new here. 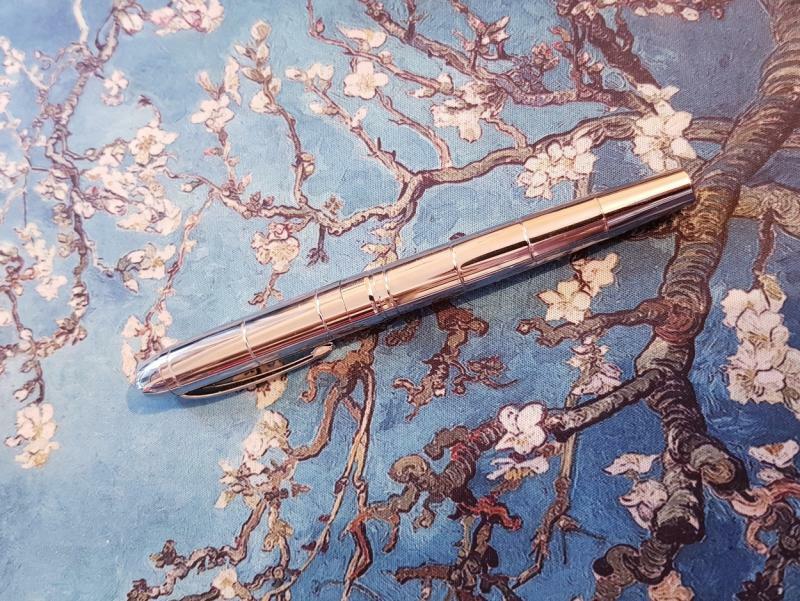 I really liked your story, and wish you all goof fortune in following and achieving your dreams of having your own fountain pen brand. I would say that is a daunting task, indeed. But then, I am holding a fountain pen someone dreamed of. I write daily with one; weekly with five, and every rare once in a while with a custom made "grail" pen. It can be done, because it has been done. Don't dream your dream, Martin. Live it. Let us know how it goes, okay? I know that this is not an easy "road", but I will do my best, to make it real. I have a lot more to learn, and I have a great motivator - my passion for writing. I am now at 71% founded and I have 11 days to go. I got good feeling.